This lovely pair came to us through no fault of their own after their owner became ill and could no longer care for them. They are now looking for their forever home together. Daffy and Ozzy are great little characters with lots of love to give. They would benefit from a home environment with lots of exercise and plenty of playtime! They walk beautifully on the lead but can be a little nervous of other dogs, mainly larger ones, however with some extra socialization time, they have been able to make some dog friends on site but this will need to be worked on with some training in the home, in the meantime, we would suggest that they live as only pets in the home. Daffy & Ozzy love kids and would be able to live in a family environment with older sensible children who can also give them time to rest and cuddle. 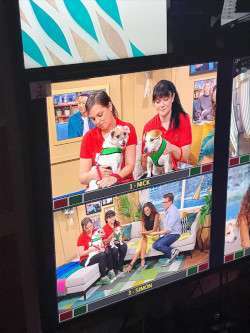 Equally as they travel so well in the car they would make ideal companions for an adult home who like to go out and about, perhaps even in a caravan. they love company and have never been left for long periods so would like someone around most of the time. 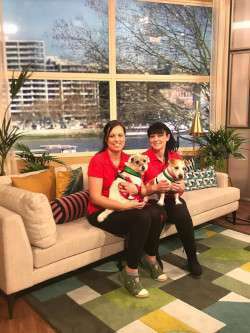 Recently these lovely boys had the pleasure of meeting John Barrowman and Rochelle on the THIS MORNING sofa!!! 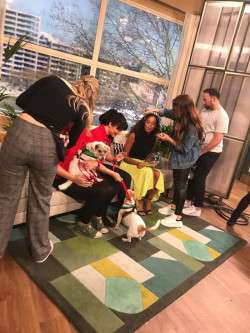 which you may have seen on ITV. John fell in love with these cheeky two and has amazingly offered to help towards their adoption fees!!!! Please see here to watch them in action. 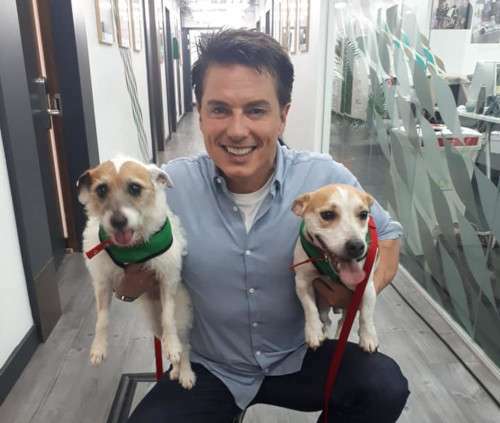 How wonderful of John and we hope that someone will see these two delightful dogs and want to take them home.